Are we right? Are the wealthy exempt from the suffering caused by chronic pain? If they are in pain can they pay for early and expensive treatment? Can they therefore bring their suffering to a prompt end? 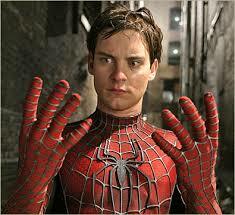 Tobey Maguire is famed for his roles in films such as “Seabiscuit” and “Spider-Man”. He has experienced debilitating back pain for years. 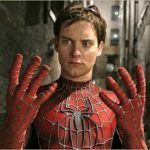 Maguire had to disclose this because it had the potential to affect his ability to perform his own stunts and limit his availability for filming. This could have caused him to decline (or lose) lucrative roles. Even super-heroes can’t escape the clutches of chronic pain. In the 1980s Paula Abdul found fame as a dancer turned pop star. Those who watch talent shows may know her now as a judge who was, more often than not, kind to contestants on “American Idol”. Abdul was involved in a cheerleading accident in her teens. Later she had a couple of car accidents and was also involved in a ‘plane crash. Refusing to give in to her injuries and working on despite her symptoms, she experienced years of pain, took medication which caused awful side-effects, had injections and underwent surgery many times. Reported to have been diagnosed with Reflex Sympathetic Dystrophy (now usually referred to as Complex Regional Pain Syndrome or CRPS) Abdul has said at long last she is feeling much improved following treatment with Enbrel, a medication used to treat arthritis and psoriasis. Star of the stage production of the musical “Ghost”, Sarah Harding, revealed that she suffered chronic pain, caused by a knee injury she suffered when filming for Channel 4’s “The Jump”. “..as anyone in chronic pain will be able to tell you, it can take a massive toll on your mental as well as physical wellbeing”. Melinda Messenger, born in Swindon, collapsed several times having suffered a disc prolapse in her back. The star of “Cowboy Builders” and “Live on Five”, who had always kept herself fit and healthy, was terrified by the agonising pain she experienced. On one occasion she reported having to drag herself across the kitchen floor and on others her pain was so bad she was unable to get out of bed. Messenger spent many months in constant pain which decimated her quality of life. She received advice on pain management which included pain relief and physical therapy and now, thankfully, reports having many more good days than bad. Having driven herself too hard for too long, Messenger now paces herself and uses coping strategies to manage her ongoing condition. Pain is indiscriminate. It can affect anyone, including the rich and famous, at any time. If you are suffering chronic pain as a result of an accident that wasn’t your fault talk to us and see how we can help.